Quinns: Morning, everybody! I’m not 100% sure what happened to me this weekend, but this vine exists so I suppose it was pretty awesome. Once again our top story is the one with the prettiest image, again proving that SU&SD is as shallow and corrupt as a dwarven bidet. What you see above is Realm of Wonder, an upcoming Finnish game that’s caught the attention of indefatigable outlet BoardGameGeek News. Each player controls a fantasy character trying to complete a secret objective, then return to the king’s castle. But there are problems! 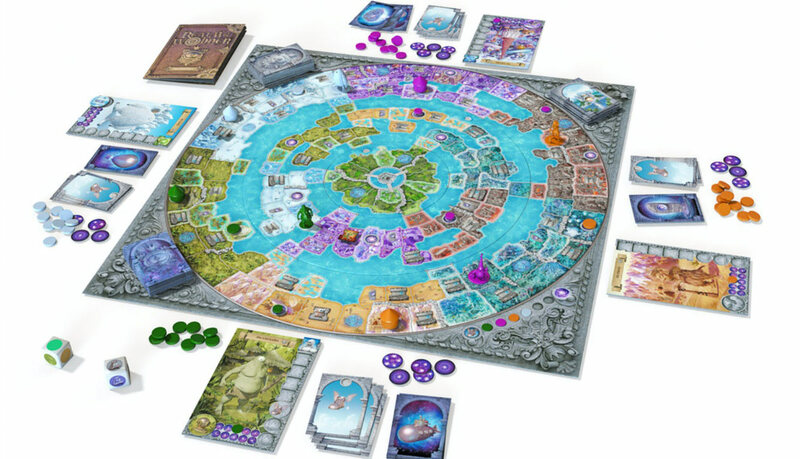 The two innermost continents of the board can be physically rotated, locking new paths in place and (hopefully) leaving your friends stranded in some faerie bog. And while Realm of Wonder can be played with young children, advanced rules add bluffing, the claiming of resource pools, magic spells, monstrous combat and the fantasy equivalent of road blocks. In case it wasn’t clear from the above image that this game is a looker, here’s that board up close. Beauteous. 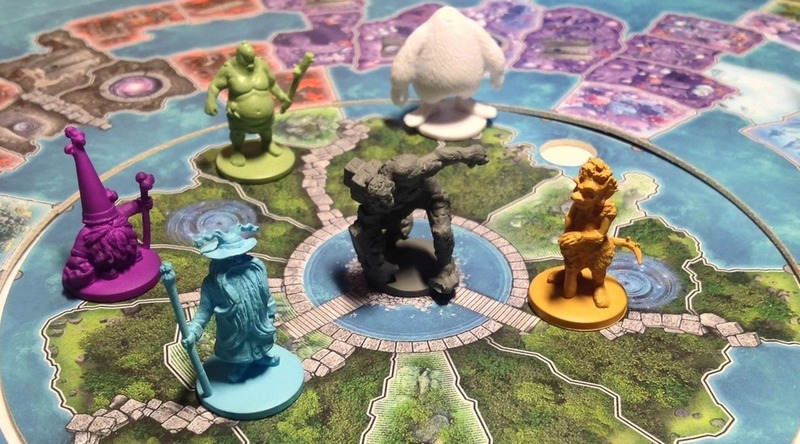 The biggest problem I can foresee is that whoever’s playing the white yeti will have won before the game’s even started. You guys might remember Paul and I going a little crazy for a phenomenal game called Suburbia last Christmas. 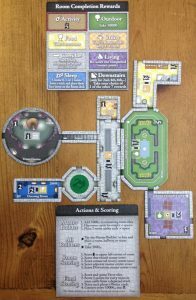 You might also remember us covering the announcement of Castles of Mad King Ludwig back in April. This will be a similar game of laying tiles from Suburbia designer Ted Alspach*, and this week we can see exactly how similar in this huge preview article. The core of it sounds almost unchanged. Suburbia’s appeal is really a mix of Sim City and Tetris. 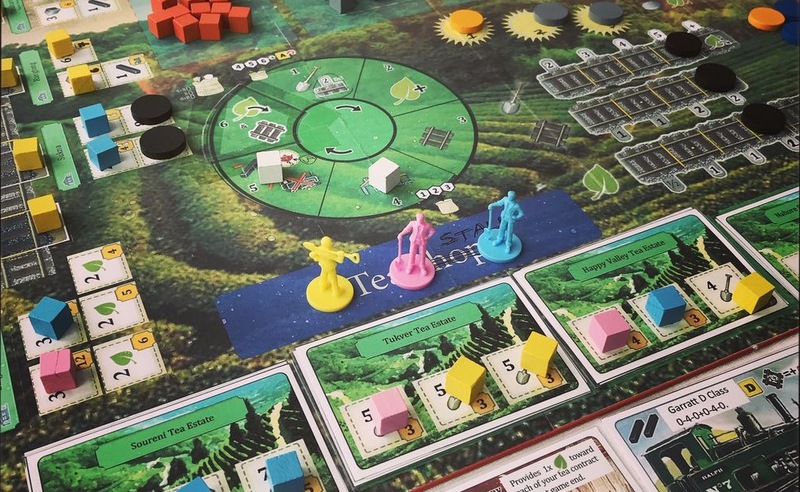 On good turns, players pay for tiles to add to their magnificent, point-spewing holdings, making them still more money and more points. On tougher, later turns, what you’ve built will be prove awkward and unmanageable, and you’ll have to socket in a tile that’s worse than useless, because it takes up valuable space. Castles of Mad King Ludwig sounds almost identical, but with a couple of additions that both make me smile. First off, the tiles you’re picking from no longer fit snugly together, but are all distressingly awkward shapes. Second, each turn one player is the “master builder”, and is tasked with pricing the new rooms that appear that round. So, you want to work out what everyone wants and make them pay through the nose for it, while making the tile you want to be unreasonably expensive. Or do you? Because you’ve got to pay for it too! Tucked away in a secret prototype dungeon at Gen Con, Brendan and I were able to play a game called Witness, which is based on an old detective comic called Blake & Mortimer. None of this matters. What you need to know is that it’s scheduled for the first quarter of next year and the concept is AMAZING. This is a mystery-solving game along the lines of Sherlock Holmes Consulting Detective, but lighter, quicker and funnier. Exactly four players listen to the mystery’s introduction, then open their personal mystery booklet and read what their character knows. Two of you then whisper what you know to the other two, who then whisper this and what they know to another player, who whispers all this and what their characters knows to someone else. At this point everybody theoretically knows everything, though in practice you all feel like you’re on the cerebral equivalent of a frozen lake. Then alone, you all have to write down your answer to a final puzzle. So it’s Consulting Detective meets Telephone or Chinese Whispers, and I can tell you from the beginner mystery we played that it’s great fun, but also strangely intimate. You’re whispering to somebody, they’re hanging on every word, and at some point what you originally whispered comes back to you. It’s lovely. 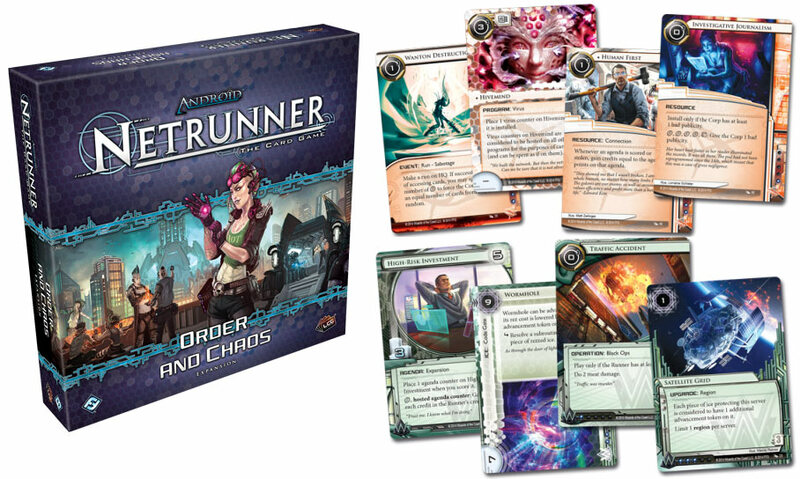 The next Netrunner deluxe expansion has been announced! 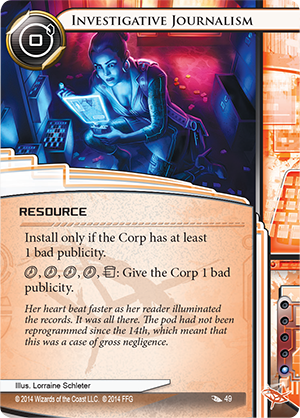 Order & Chaos will offer three copies of 55 new cards for angry Anarch hackers and the villainous, space-faring Weyland corporation. The in-depth answer of why this is cool is that each faction is having their unique style blown wide open. The Anarchs won’t just be installing viruses, they’ll be able to breed and transfer virus tokens as a secondary management game. 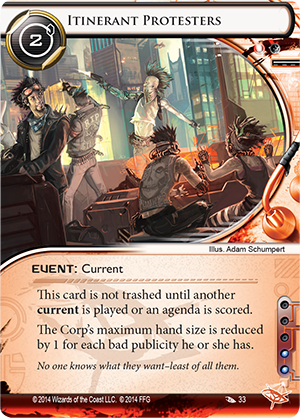 Weyland won’t just be able to advance ICE, but will soon place free or automatic advancement counters on them as (again) a secondary management game. 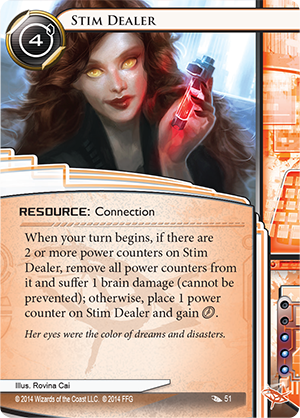 The simpler answer as to why this will be interesting is Stim Dealer. Your hacker will now be able to pick up a drug habit and become superhuman! …For a while! And then suffer total mental collapse. Or you can just run a deck full of investigative journalism and then cram protestors around the corp’s HQ. Joy! AND FINALLY! Here are a couple of tiny games I love the look of. Bucket King 3D is a simple card game that has one player dropping a set of cards from their hand, and then everyone else trying to match or improve the set. You can always pass, because those cards are precious… but then you have to remove a like-coloured bucket from your personal pyramid of buckets. At game end the player with the most intact bucket palace is the winner. Sounds like the perfect SU&SD combination of dumb and smart. Which lets me end with Magic Cat! I am happy to be ending with Magic Cat. 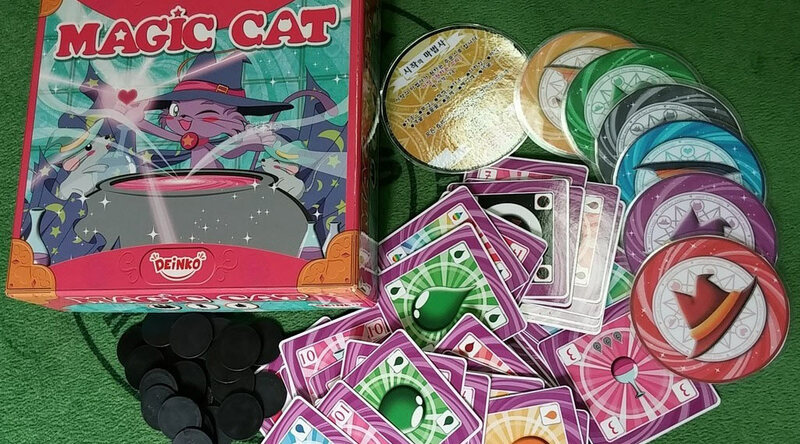 Magic Cat is a forthcoming Korean card game where players are trying to claim potion bottles and ingredients to make spells. Each round a few of these are laid out, and each player can claim one by saying the round’s chosen magic word and the word “first”. Then another player can claim one by saying the magic word and the word “second”. But if any two players speak at the same time, the round ends and both of those players receive terrible curse tokens. Not convinced? Trust me, I played something a bit like this when I was a kid. It works, and it’s verrrry interesting. *It’s worth knowing that Mr. Alspach is also an improbably rad dude. In addition to developing these tricky economic games he designed One Night Werewolf as well as all sorts of Ultimate Werewolf variants, and there’s a small aside in the Suburbia manual giving Special Thanks to Ke$ha.